For today's blogpost I thought I would tell you what's on my Christmas Wishlist as you might want to know! 1. Zoeva Rose Golden Luxury Brushset. I've wanted a good set of brushes since I got into makeup but it's only now that I've actually settled on these beautiful brushes after hearing so much rave about them! Hopefully I'll get them for Christmas! 2. Sleek MakeUP bush trio in "Lace". I own wayyy too little quality blushes and these are just so pretty! 3. Fujifilm Instax Mini 8. Seems like every person and their dog owns this camera and I really just want it because most of the time I take pictures on my phone or camera but never actually get them in a hard copy, they're always digital. So it would be nice to have a camera that just gives me the picture right away so I don't forget to get a hard copy of all the pictures! 4. Urbanears from Urban Outfitters. These are extremely talked about and I'm actually very tired of buying cheap headphones/earphones that break easily! I just want a good quality pair that won't break after being used once or twice. 5. 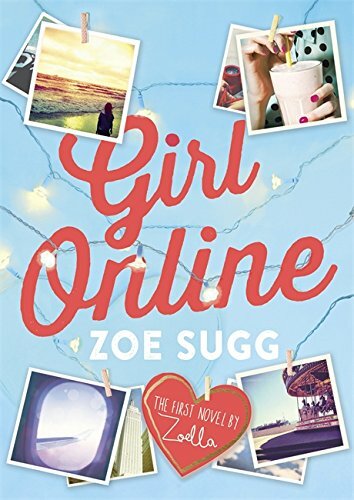 Zoe Sugg's book "Girl Online". After all I love Zoe and I'm pretty sure this book will be great! 6. 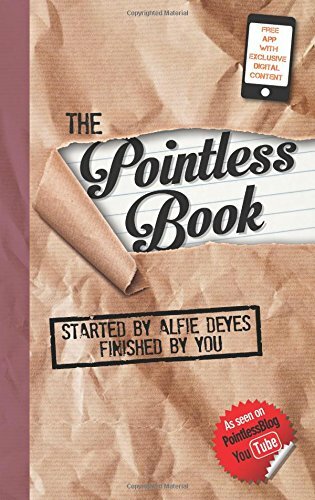 Alfie Deyes' book "The Pointless Book". Again, I love Alfie and I want this book in my life! 7. Cosy Jumper. I have no specific picture for this but every store like H&M and Cubus and such sell these really soft jumpers/hoodies and I want one in my life! 8. The Fault In Our Stars (Movie). I saw this in Lappeenranta when I visited Julia and I just want the DVD so I can make mom watch it with me and cry with me. Yes. 9. Disney Winter DVD Box. I found one in an Anttila paper and that one had the movies Frozen, Tangled and Brave but I couldn't find the exact picture of that online! 10. Gift cards to H&M, The Body Shop, Gina Tricot, Cubus, Emotion or any other store that I like. Since my parents can't buy clothes/makeup for me this a good thing to get! If I'm going to be honest I could go on forever and ever and wish for a hundred things, but my Christmas Wishlist that I gave to my parents also included 10 things, so it's only fair to give you guys the full list!